Perry Wong, a Chartered Accountant, seasoned Wealth Manager and enterprising Corporate Executive committed to reshaping the current insurance industry. 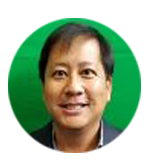 Mr. Wong began his illustrious career in the financial service industry 23 years ago as a Chartered Accounting at one of Canada's prestigious accounting firms. His ravenous desire to help the average Canadian family led him to pursue certifications in Wealth Management and Tax-Advantaged Investment Strategy. Using his vast experience as a Chartered Accountant, Mr.Wong proceeded to provide an unparallel level of service within several of Canada's top financial institutions. His relentless work ethic drove him to the pinnacle of the financial service industry where he did the unthinkable. He walked away from his storied career and struck a new path which would change the trajectory of thousands of lives. In September of 2015, Mr. Wong officially joined a legacy insurer by the name of Combined Insurance. This century-old institution could not have possibly guessed the events which would ensue. Seizing the virtually untapped need for "living benefits" in a market saturated by life insurance, Mr. Wong built the most prolific organization in company history. On the road to national dominance, his team grew to over 180 licensed agents responsible for producing over $4.5 Million in Annualized Premium since mid-2016. His organization holds the company record for largest APV production in a single week with over $220,000.00. His personal success can only be compared to the abundance of accomplishments that furnishes his team members which entail several 6 figure earners. In addition to his impressive professional resume, Mr.Wong is a staunch family man who loves traveling with his wife and two beautiful children. He is also a proud former President of the Forest Hill Lion Club.